Teradata Data Mover - Moving data from one system to another is a key part of your analytical ecosystem operation. Well-planed, monitored, and managed data movement is essential to effective operation of your overall ecosystem. Whether your goal is to complete a onetime copy of data from your enterprise data warehouse (EDW) to your test system or to regularly and continuously synchronize a dual system environment, you need confidence that the data will be in the right place at the right time while causing the smallest possible impact on the data warehouse’s mission of serving your business. The decision about the best way to copy data between Teradata systems depends on many factors, including the data model and indexes present, other workloads in your system, and additional load jobs underway. What you need is a solution that automates the data movement process, a solution that also accommodates the many situations found within your comprehensive analytical ecosystem. And that’s exactly what Teradata Data Movers delivers to you and your business; all the supporting capabilities you need to easily, effectively- and affordably- meet your data movement demands. 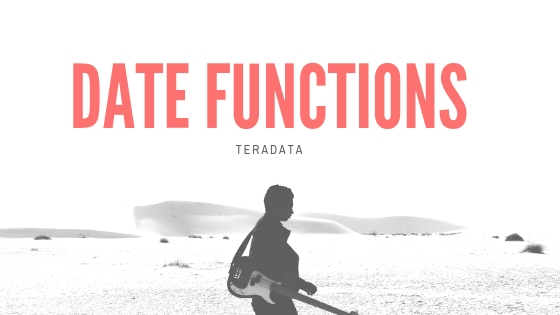 Intelligent Selection - Teradata Data Mover is a utility designed specifically to copy data and objects such as tables and statistics from one Teradata system to another. It takes advantages of the built-in underlying technologies already in your Teradata system. And it understands the available techniques you have for extracting data from or loading data into your Teradata Database, as well as our various load utilities, backup/restore product, and the JDBC driver. Teradata Data Movers leverages all of the established data loading protocols and technologies to meet your needs and environment best. You can use the utility for; Regular periodic tasks including populating a dependent datamart from an EDW. Special one-time tasks such as moving data to a test system. The utility also works with every member of our Teradata Purpose-Built Platform Family. In addition, it supports Teradata Database VZR6.1 and higher and runs. On a Teradata Managed Server for high availability and comprehensive monitoring.